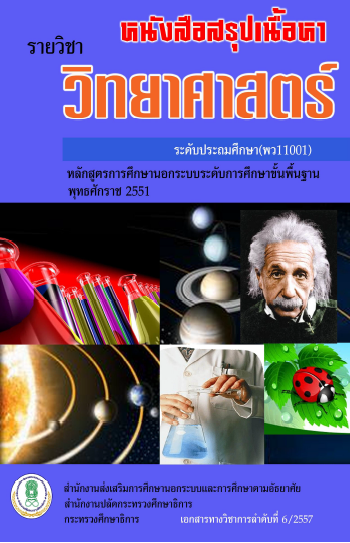 Thai Language 3 Primary Level Author :Office of The Non-Formal and Informal Education Thai Language 3 Primary Level for Non-Thai students. 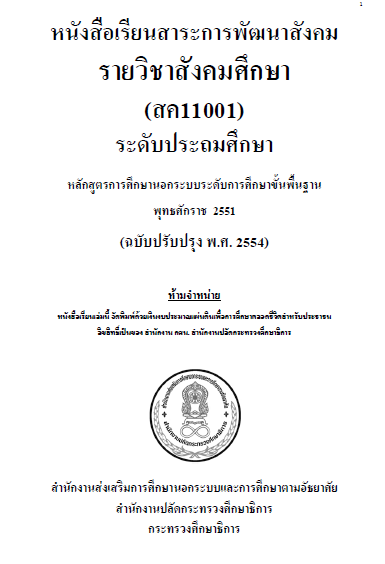 Thai Language 3 Primary Level for Non-Thai students. 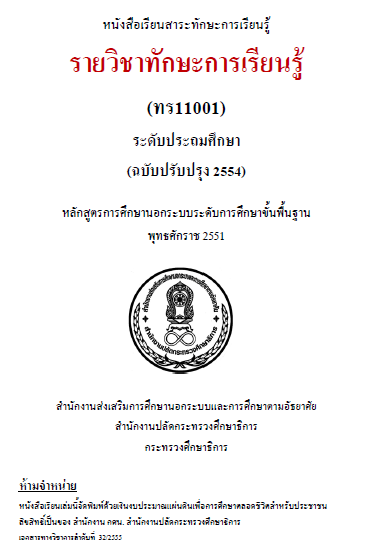 Thai Language 2 Primary Level Author :Office of The Non-Formal and Informal Education Thai Language 2 Primary Level for Non-Thai students. 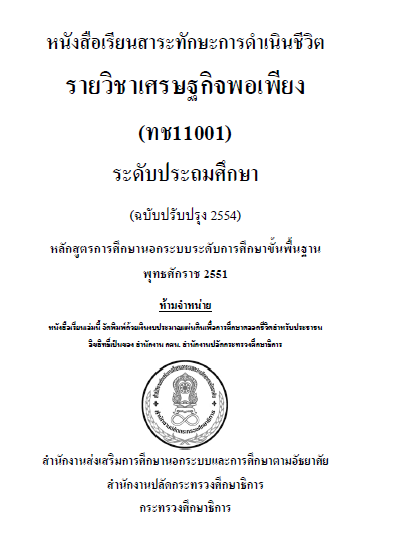 Thai Language 2 Primary Level for Non-Thai students. 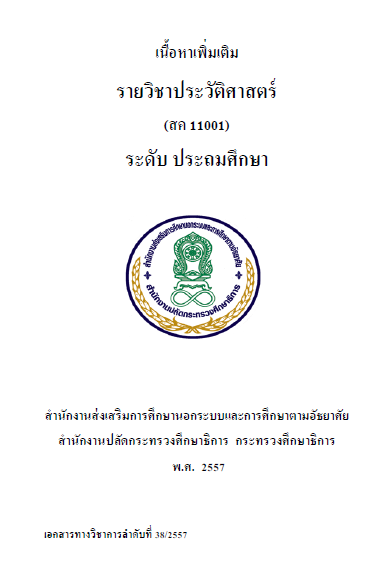 Thai Language 1 Primary Level Author :Office of The Non-Formal and Informal Education Thai Language 1 Primary Level for Non-Thai students. 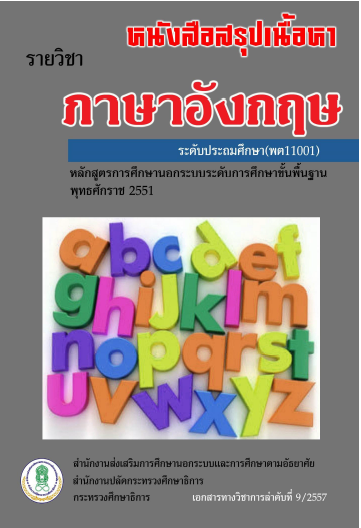 Thai Language 1 Primary Level for Non-Thai students. 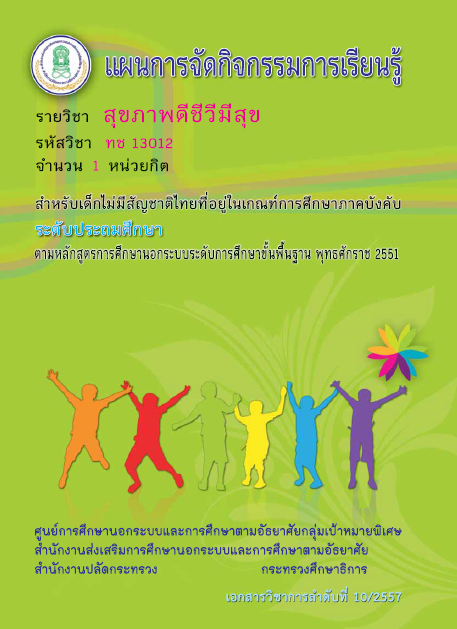 Thai Literacy Primary Level Author :Office of The Non-Formal and Informal Education Thai Literacy Primary Level. 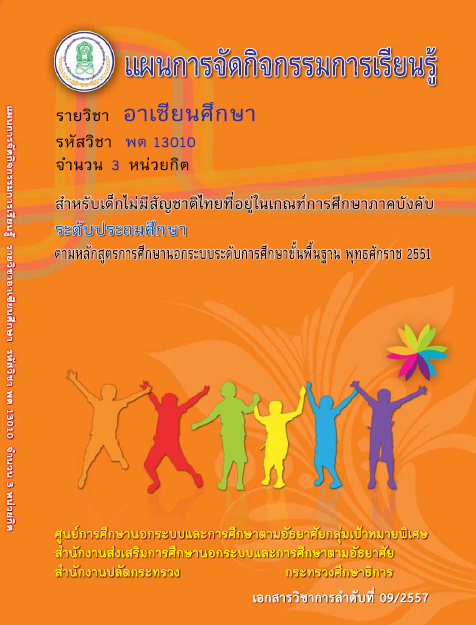 Protection Children Right Primary Level Author :Office of The Non-Formal and Informal Education Protection Children Right Primary Level for Non-Thai students. 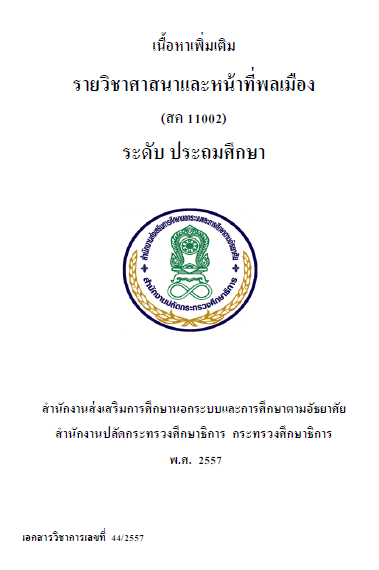 Protection Children Right Primary Level for Non-Thai students. 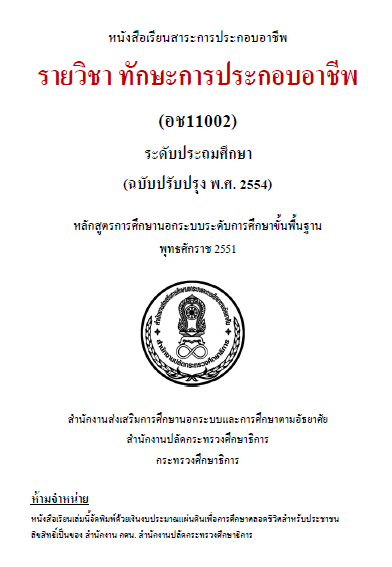 Moral Studies Primary Level Author :Office of The Non-Formal and Informal Education Moral Studies Primary Level for Non-Thai students. 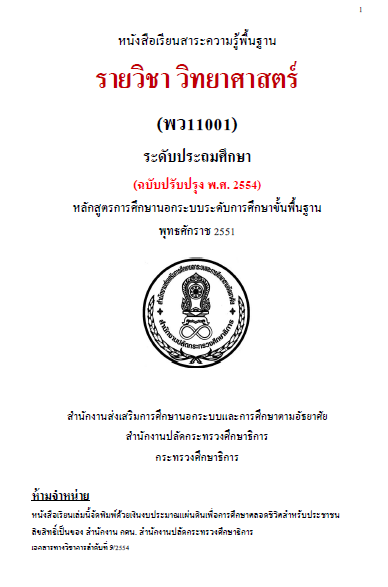 Moral Studies Primary Level for Non-Thai students. 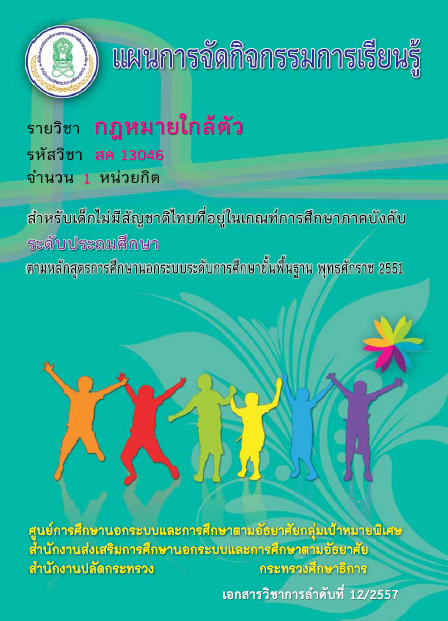 Health Education Primary Level Author :Office of The Non-Formal and Informal Education Health Education Primary Level for Non-Thai students. 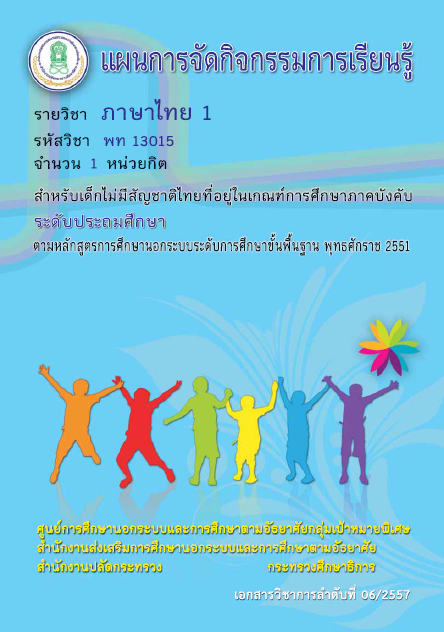 Health Education Primary Level for Non-Thai students. 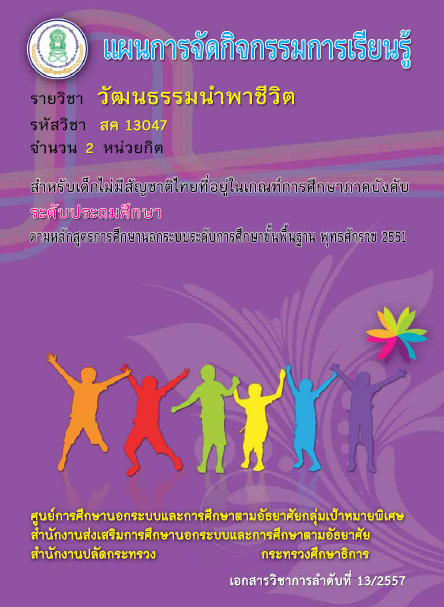 Cultural Studies Primary Level Author :Office of The Non-Formal and Informal Education Cultural Studies Primary Level for Non-Thai students. 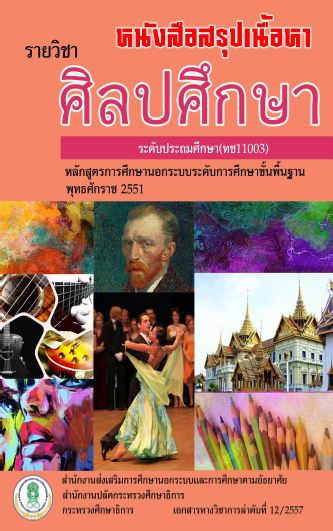 Cultural Studies Primary Level for Non-Thai students. 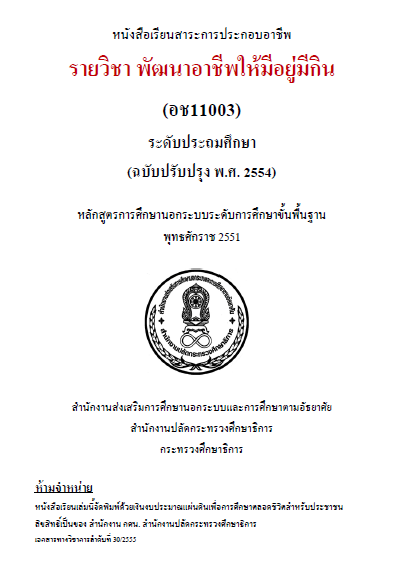 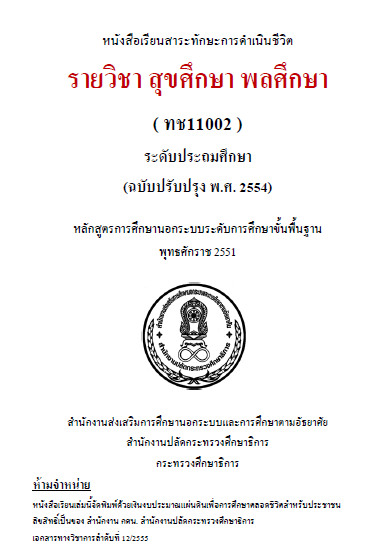 Basic Law Primary Level Author :Office of The Non-Formal and Informal Education Basic Law Primary Level for Non-Thai students. 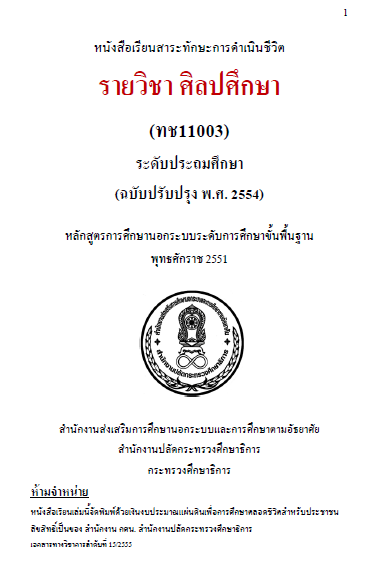 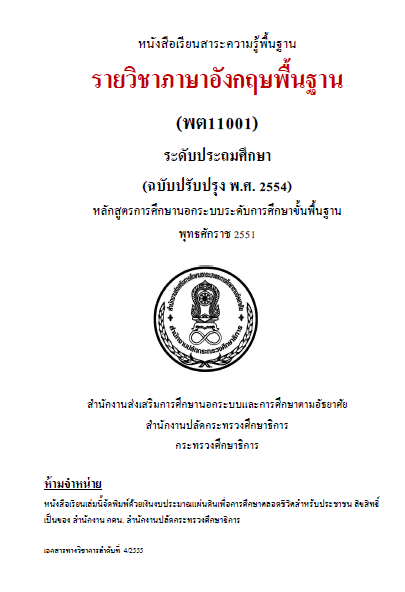 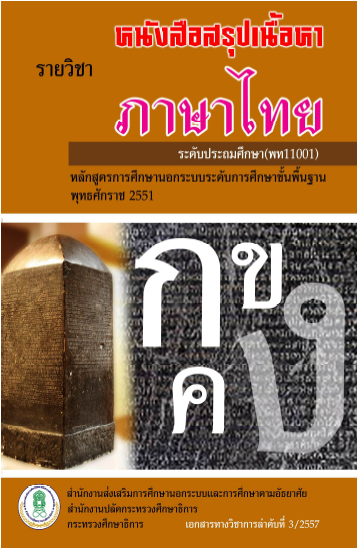 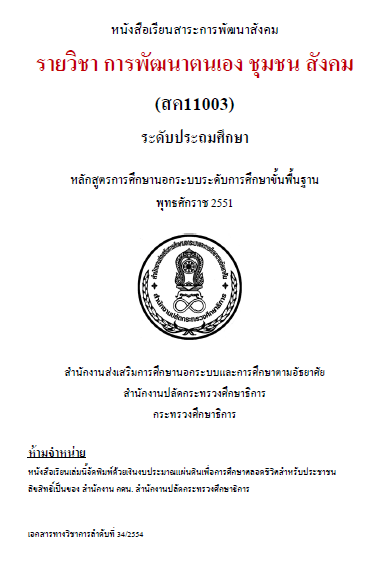 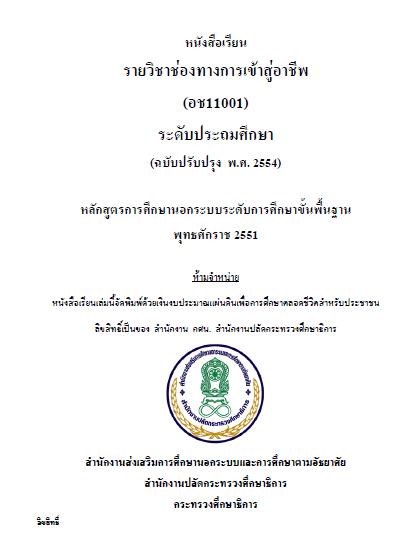 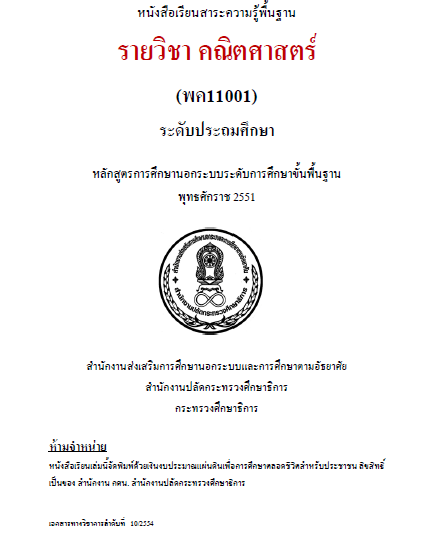 Basic Law Primary Level for Non-Thai students. 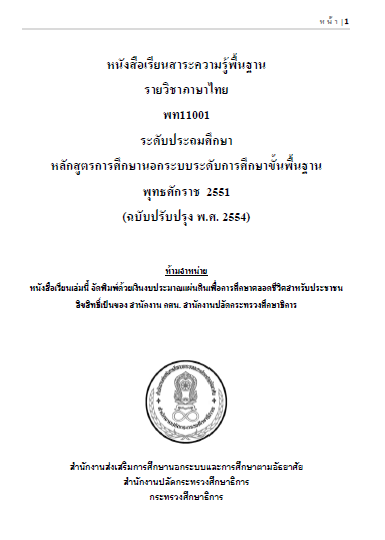 ASEAN Studies Primary Level Author :Office of The Non-Formal and Informal Education ASEAN Studies Primary Level for Non-Thai students. 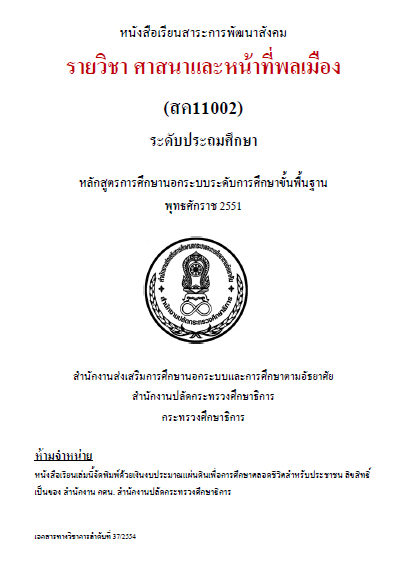 ASEAN Studies Primary Level for Non-Thai students.